Many people wonder exactly what happens when they actually win some money from betting on the lottery online. Does Lottoland guarantee to pay out jackpots? Has anyone ever won? How can I withdraw my cash? Do I have to pick it up in person? Especially for our customers and all fans of online lotteries, we have prepared a special guide that explains step-by-step how to make a withdrawal. Here you will find all the information you need to withdraw your cash. Imagine that you manage to score that elusive lottery jackpot win from betting with Lottoland. How will you know you've won? Well, immediately after the announcement of the draw results, you will receive a notification by e-mail from us letting you know that you have won some money. Once the draw results are confirmed and the payouts finalised, any winnings will be automatically credited to your Lottoland account and you will be notified by e-mail again. After the first feelings of euphoria, you may feel a little doubt as to whether this is all correct and you have actually won. The best way to set your mind at ease is to check your Lottoland account to confirm that the money has been credited to your account. 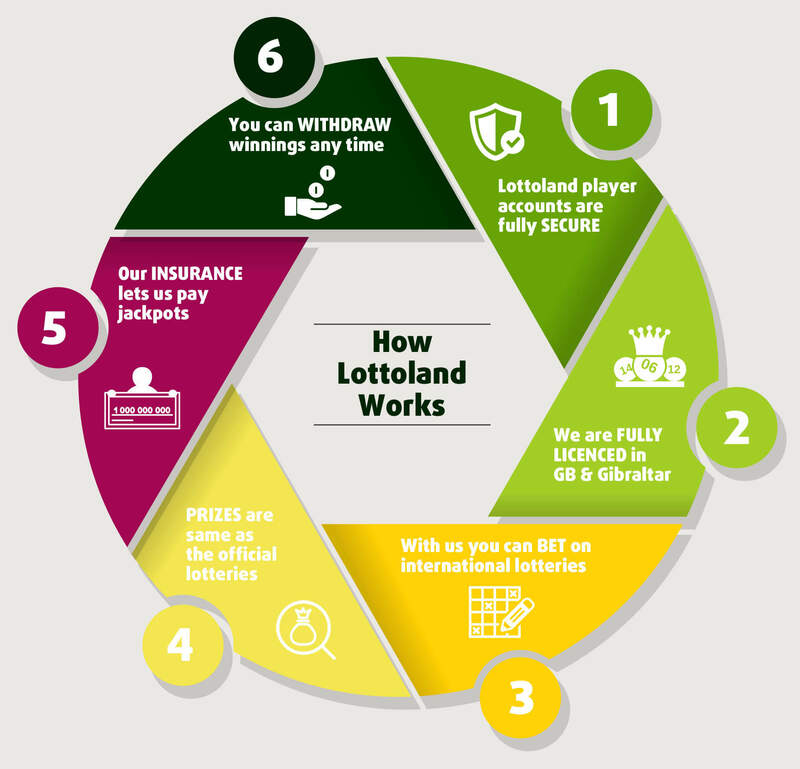 Would you like to know how to quickly check if you have won with Lottoland? It's easy! The numbers and odds of all lottery draws can be viewed at https://www.lottoland.co.uk/lottery-results. To check your online bet-slip, simply log into your Lottoland account and go to the "My Activity" section. There you can see an overview of your bets at any time. If you click on a particular lottery bet, you can confirm all details like your selected numbers and corresponding lottery winnings again. So now you know for sure that you have won, but how do you get your money? Here are step-by-step instructions which will show you just how easy it is to withdraw your winnings. Beneath the infographic we go into a little more detail on each step. How do I Withdraw from Lottoland? All winnings will be credited directly to your Lottoland account, as previously mentioned. If you were lucky enought to hit the jackpot or get another very big win from a lottery bet or scratchcard, we will contact you by phone. After passing on our congratulations, we will then ask you how you want to redeem your lottery win or if you even want to drop by to our offices to visit us personally. In Lottoland, however, we respect your right to privacy. This means that if you want to remain anonymous we will support your right to do so. Once your winnings have been credited to your Lottoland account, you can decide if and when you want to have the money paid out to your bank account. To initiate a withdrawal simply add a withdrawal account, verify your Lottoland account (if you have not done so already), and request for your money to be paid out. 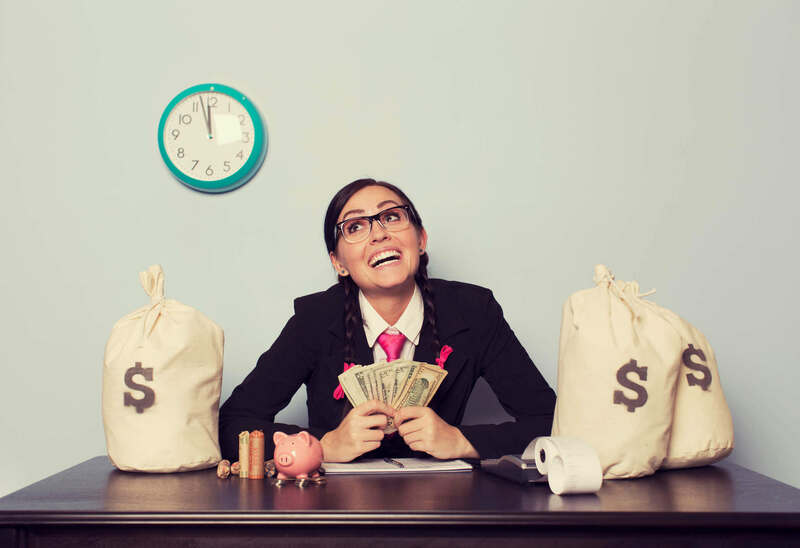 The money will then show up in your bank account within a few business days. After successfully verifying your Lottoland account, and once you have requested the withdrawal, you will receive a payment confirmation notification. We will then transfer your prize to the specified bank account or credit card. Please note that international transfers can often take 4-7 business days before the recipient receives the prize. If you pay with a credit card, this can slow down the process and it can then take up to 15 bank business days for the money to hit your card. As promised we will now go through the process step by step just to make sure that you will be crystal clear as to how to withdraw your cash. Let's start with simply accessing your Lottoland account. As usual, you'll find the "Login" option at the top right corner of the Lottoland site. There you simply enter your registered e-mail address and your password, and then you can start with the process of getting your lotto payout. To ensure the secure payment of all winnings, whether in the lottery or in any other products offered by us, your identity must first be confirmed. This is one of the conditions of our license whose terms were established by the Gibraltar Gambling Commissioner. Our customers must be able to identify themselves to make sure they are of legal age. Also, it is an additional safeguard to make sure that money is sent to the right person. In order to verify the authenticity of the data provided by the customer, we therefore require a copy of a valid photo ID (identity card, driver's license or passport). Feel free to upload a colour copy of the front and back of your document directly under "My Payments" by clicking "Deposit funds". A new window will open and you can upload the required documents as a file. Once your Lottoland account has been successfully verified, you can initiate the payout of your money. For this you need to link a withdrawal account to your Lottoland account. If you used a debit/credit card to deposit, it will automatically be added as your payout option. The payout of your money in this case will be made to the bank account linked to the credit card. You are able to withdraw your winnings back to the registered Bank Card by signing into your account and choosing 'My Transactions' from the drop down menu. Simply choose the amount you wish to withdraw and then press the withdraw button. Alternatively, to return winnings to your bank account please complete the payout section in My Transactions. 2) SWIFT/BIC details - This is your Bank Identifier Code. 3) IBAN details - This is your International Bank Account Number. Please note that the owner of the Lottoland account must also be the holder of the bank account to which the prize is to be transferred. Furthermore, the corresponding bank account must be set up in the country where the account-holder lives. This guarantees that profits will be credited to the correct bank account and is also a money laundering prevention measure. Please note that our security department can sometimes request additional documents such as proof of address for successful verification. If this is the case, you will be informed by e-mail. Of course, if you wish, you can black out any unnecessary data on these documents. After the verification has been completed, we will send you a confirmation to your registered e-mail address and you can request the payout immediately. 1. Choose your payout account. 2. Enter the desired payout amount. 3. Click on the green button to withdraw your funds. As soon as you click on the Withdraw button and the payment has been successfully applied for, you will receive a confirmation notification which will appear in a separate window. In addition, a confirmation e-mail will be sent to your registered e-mail address. All you have to do now is wait for the money to be transferred and credited to your bank account, which can take up to 7 working days. Look Forward to Using Your Money! Congratulations! Your money has been credited to your bank account. Now it's up to you to decide what to do with it! Whether you are fulfilling some long-cherished dreams, investing some your profits, donating to charity or travelling around the world is up to you. How Can Lottoland Pay the Major Jackpots? This is one of the most common questions that we get asked here at Lottoland. Hardly a surprise since, after all, nobody wants to finally see their numbers come up and then find out that their jackpot has disappeared. For this reason, we want to assure you that Lottoland 100% guarantees a payout of all winnings, even enormous jackpots that exceed several hundred million pounds. With the receipt of our license from the Gibraltar Gambling Authority, the financial strength and reliability of Lottoland were confirmed. Lottoland is a state-licensed online lottery operator governed by the Gibraltar Gambling Commission and regulated under the Gambling Act of 2005. We also have licenses granted by the respective gaming commissions in Ireland, Great Britain and Northern Australia. These oblige us to adhere to strict regulations aimed at protecting our customers. In order to guarantee the payout of all jackpots and lottery winnings offered on our website, we cooperate with leading insurance companies. Lottery bet-slips issued by Lottoland are insured by external companies which pay out the prizes in the event of a major win. Smaller profits are paid by Lottoland from the proceeds of sales. This model has allowed us to pay out more than 200 million euros to 1.5 million winners (and counting!). To show you where some of those payouts have gone, here is a look at our top ten lottery winning Lottolanders. 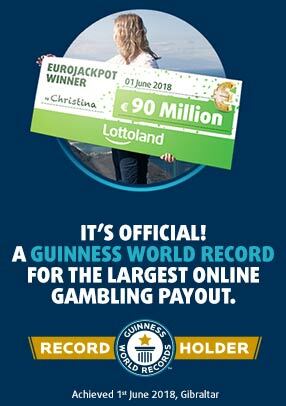 As you can see, our record payout stands at an incredible €90 million, since our lucky Lottolander Christina had her record-breaking win. Note that the lottery winnings figures have been rounded to the nearest thousand. Now that we have fully explained how lotto payouts work at Lottoland, hopefully you will feel confident enough to try a lottery bet on one of the many lotteries from around the world. Lottery jackpot wins come when you least expect them, and we may well be updating our top ten list in the very near future. With so many multi-million pound lotteries available to bet on at Lottoland, it won't be long before a new name makes our roll of honour. We welcomed our 7 millionth Lottolander earlier in the year, so it's only a matter of time before somebody strikes it lucky. Check out our selection of international lotteries and maybe your name will be appearing on future versions of this list!